Summer isn't exactly the time for a warm salad. But rainy summer days with a slight cool breeze makes it appropriate. Three days going on four of rain in Austin. Not complaining one bit. 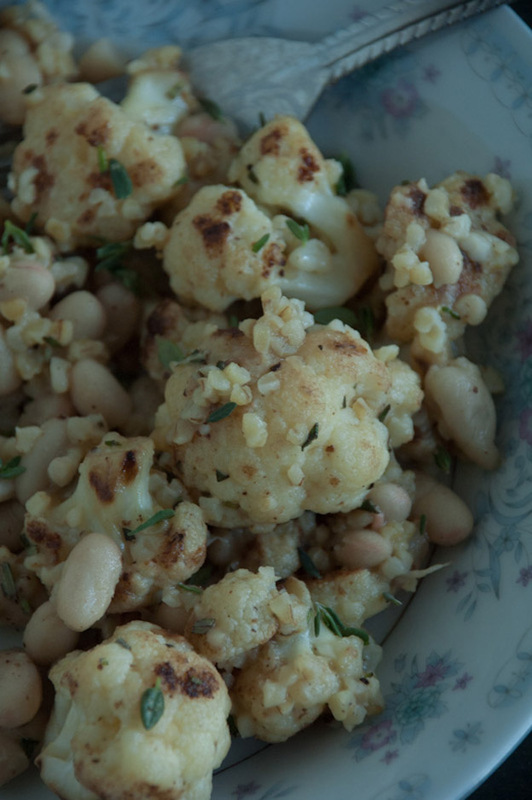 Enjoy a warm bowl of this cauliflower & bean salad drizzled with a tangy lemon dressing and tossed with fresh rosemary and thyme. A classic combination that never disappoints. 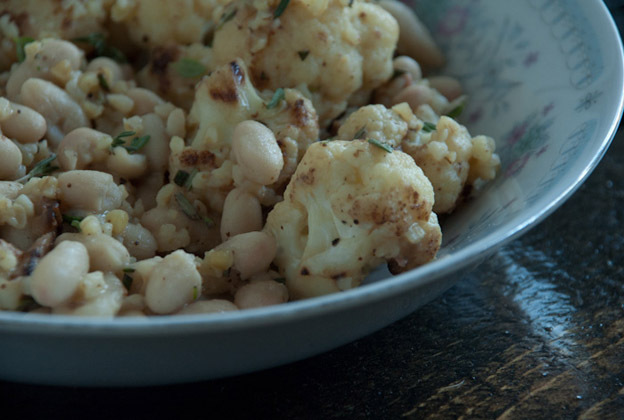 To really enjoy this dish, eat barefoot while on the porch & watching the rain. Place two cups of water in a medium saucepan; bring to a boil. Remove from heat and stir in bulgar & salt. Cover and let sit for 20 minutes. Fluff with a fork. Whisk lemon juice, vegenaise, mustard, and 5 tbsp of olive oil in a small bowl. Season with pepper. Heat remaining 1 tbsp of oil in a large skillet over medium-high heat. 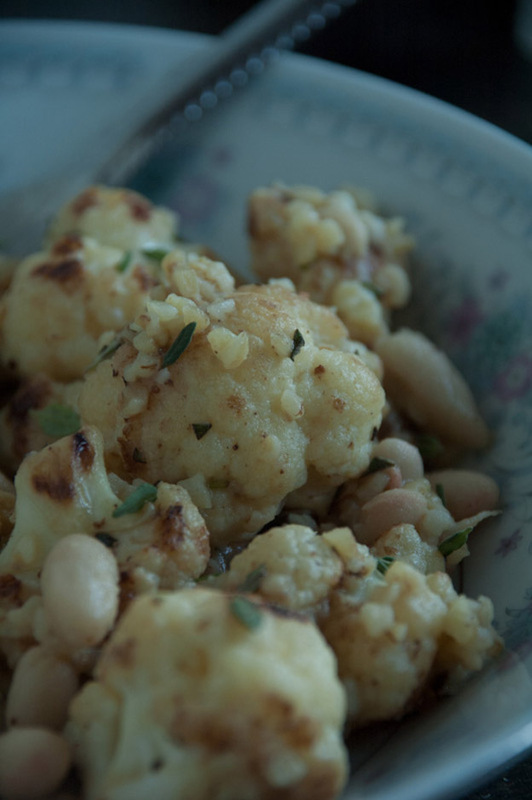 Add cauliflower; cook turning occasionally, until browned in spots, around 10-12 minutes. Add 2 tbsp water, cover and cook until just tender about 2 minutes. Season with salt & pepper. Transfer cauliflower to a large bowl. Add drained beans and herbs, reserving some herbs for topping. Add half of the dressing and stir until well combined. Divide among bowls and drizzle reserved dressing and sprinkle with remaining herbs.